Argentina, one of the richest countries in the world during the first half of the 20th century, is now considered a developing country. This prosperous period was followed by numerous economic crises, which culminated in the Argentinean crisis of 1998-2002. The latter helped drive a wedge between the rich and the poor and hit the children from a humble background the hardest. They still suffer from discrimination and the violation of their fundamental rights. In Argentina, around 37% of the population lives below the poverty line. Low income families have difficulty raising their children who are often victims of abuse, specially of sexual ones. Poverty affects more than 8 million of children. In 2017, 24.7% of children in Argentina had no access to water or a toilet. Education in primary and secondary schools has considerably improved. However, there are indications that there is a high rate of children who are held back from schooling or who drop out. After the collapse of the Argentinean economy in the late 1990s, funding for education was reduced. Children from poor families were the first to be affected. For financial reasons, many children had to drop out of school. Nowadays, 19 % of children in Argentina do not go to school. The violation of the fundamental right of access to education is contrary to the Convention relating to the Rights of the Child which requires public and free education. A 2006 law enacted by the government mandates the creation of health services as well as assistance to families and information campaigns on children’s rights. This legislative progress has given all children access to healthcare and medication. 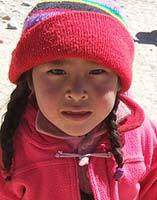 However, many children still live in difficult conditions. As a study of early childhood shows, around 17% of children are in a situation of emotional and intellectual vulnerability in their first years of life (2017). The human rights situation of native communities is generally more precarious than that of the descendants of the European-born inhabitants: poverty, illiteracy, unemployment are higher than in the rest of the population and their cultures are poorly protected. 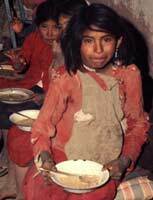 For example, in the province of Tucumán, live indigenous families in abject poverty and miserable living conditions. They have suffered illegal evictions from their ancestral lands or are living under constant threat of forced eviction. Therefore, native populations cannot maintain their traditional way of life, essential to their well-being and survival. They cannot defend their human rights. Their children are exposed to violence, malnutrition and disease and are being deprived of their chance to receive adequate education. 99% of Argentinian children have access to education, a very encouraging number. However, a new form of violence has appeared in schools: violence in education. Children who do not obey their teachers can be spanked. This even happens to very young children and babies in kindergartens. This bodily punishment, though not entirely novel in Argentina, still represents a health risk. Children can develop behavioural problems and believe that violence is the norm. Another problem in Argentinian schools is bullying and a high number of sexual abuse cases involving teachers or authority figures in general. In most cases of sexual abuse the typical aggressor is male and the main victims are girls from the age of 5 years old. Facts and figures published by the Argentine government show that in 3 out of 4 cases, the aggressor is a direct relative of the victim or trusted person; 53% of the abuse take place in the victim’s home; 18 % at the aggressor´s house and 10% in the house of a relative. In fact 40% of the aggressors are the biological fathers of the victim. The economic crisis had a particular negative impact in rural areas. Children from poor families are sometimes forced to drop out of school. Around 7% of children aged 5 to 14 work in order to help their families provide for their food and health needs. Child labor takes on a variety of forms: children work as domestics for wealthy families at the risk of becoming “house slaves”, they work in illegal textile workshops, in mines, in construction or in agriculture. Their economic exploitation often goes hand in hand with sexual exploitation. Argentina has passed laws and social programs to end child labor and prostitution. In 2017 even took place a World Children’s Work Conference in Argentina, but efforts to establish children’s rights need to continue. There are still no effective regulations regarding dangerous work by children. Too many children are in the streets of Argentina being forced to beg and to work by unscrupulous adults. According to Unicef, about 4,000 people are victims of trafficking every year, especially young women and girls. Children from northern provinces or border countries such as Bolivia, Paraguay and Brazil are the most exposed to the risk of trafficking. If the children are not illegally adopted, they end up in urban centers in the central and southern parts of the country, where they are forced into prostitution or forced labor and at risk of becoming victims of organ traffickers. Poverty, alcoholism, family dysfunction and violence, drug abuse, sexual abuse, those who are out of schools, in the streets, or in institutions are at high risk, all of these children are more vulnerable to being victims of this crime. In 2006, Argentina introduced a law against trafficking in human beings which, despite the high threat of punishment, could not effectively reduce this crime. Argentina expressed one reservation concerning article 21 of the convention. Through this reservation, it allows adoption without respecting all the requirements for international cooperation regarding adoption. Argentina also made three declarations. In the first two declarations, it stated that the word “child” in the sense of the convention must be understood as “any human being at the time of conception until the age of 18”. It also added that the convention would have to, in that sense, “formally forbid the use of children in armed conflicts”. Argentina, in its last declaration, felt that “it is the State who must take appropriate measures to counsel, educate, and inform parents about responsible procreation”. The “Quinceañera”: An important event in the life of a young girl marking the passage from childhood to womanhood, the 15th birthday cannot be ignored. For this birthday, parents give their young daughter a lavish celebration. Often, they spend freely so that the young girl will always remember her 15th birthday. The lower social classes do not do away with this custom. A girl’s clothing for this day is made of white and pink. She is accompanied by her parents, her grandparents, seven maidens of honor, and as many suitors as she desires. Recreation: The national dance of Argentina is the tango. The tango is not just a reference to the dance. In fact, Argentinians value lyrics and music before the dance. A large number of children learn the tango. For most Argentinians, it is the only way to reach a better world. The national sport is soccer, the history of which is filled with many important names. Many children hope to imitate these sports icons and dream of a better life. Children’s helpline in Agentina:102 (toll free). Number allowing children, adolescents, and adults to report a violation of children’s rights or to obtain information. Défense des Enfants International (DEI): Défense des Enfants International (DEI) has a goal of assuring that a systematic and concentrated international action continues aiming to make known and to protect children’s rights. Horizon Argentine: Contributes to the improvement of living conditions and education of children in disadvantaged neighborhoods in Buenos Aires. Vol de Nuit: Brings material aid as well as social and cultural support in order to help poor children. Children from poor families are sometimes forced to drop out of school to work. 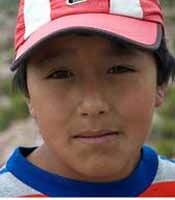 Native children are victims of discrimination and often see their rights violated. The quinceañera is an important step in the life of a young girl.